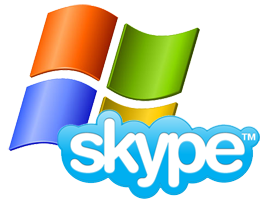 Microsoft and Skype have just announced that they have entered into a definitive agreement under which Microsoft will acquire Skype for $8.5 billion in cash from the investor group led by Silver Lake. Sprint has announced its opposition to AT&T’s proposed $39 billion takeover of T-Mobile USA. According to the company, the transaction "would reverse nearly three decades of actions by the U.S. government and the courts that modernized and opened U.S. communications markets to competition." AT&T and Deutsche Telekom announced that they have entered into a definitive agreement under which AT&T will acquire T-Mobile USA in a cash-and-stock transaction currently valued at approximately $39 billion. The agreement has been approved by the Boards of Directors of both companies. 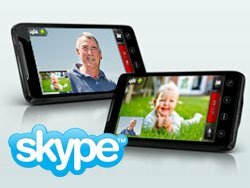 Skype has announced it has entered into a definitive agreement to acquire Qik, a provider of mobile video software and services. Qik has 60 employees, and is headquartered in Redwood City, California and has an office in Moscow, Russia. The transaction is expected to close in January 2011. The companies informed that terms of the acquisition will not be disclosed. Although a week ago Palm’s CEO Jon Rubinstein still believed that “Palm can survive as an independent company” (FT), Palm was already up for sale and it was pretty obvious they would quickly find a buyer. And they did. 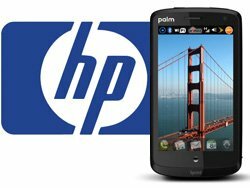 The company announced that it has entered into a definitive agreement with HP, under which HP will purchase Palm at an enterprise value of approximately $1.2 billion. Compuware, software and consulting provider, announced it has completed its acquisition of Gomez, one of the two major forces in web application monitoring services that has a leading SaaS solution for desktop/laptop web application monitoring. “This is a very interesting and potentially game changing move in both the end user experience monitoring and the application performance management (APM) markets,” Jean-Pierre Garbani wrote on the Forrester Blog for Vendor Strategy Professionals. EMC has reported a slight increase in revenue last quarter and provided an optimistic forecast for the second half of the year. The announcement came as it completed the USD $2.1 billion acquisition of data deduplication specialist Data Domain. EMC Corporation has finally overcome rival NetApp and succeeded with its bid to buy data deduplication leader Data Domain at a price of USD $2.1 billion. 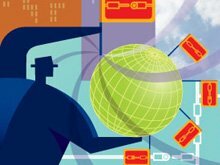 The acceptance of the final offer comes after a six-week bidding war and will raise questions about whether EMC overpaid for Data Domain – and what NetApp will do now. The bidding war for Data Domain stepped up this week after NetApp raised the stakes with rival EMC by making a new cash and stock offer of USD $1.9 billion. This came two days after EMC’s offer of USD $30 per share in a deal worth about USD $1.8 billion – around 20 per cent over the original USD $1.5 billion offered last month by NetApp. Fine Point Technologies has agreed to buy the German software and systems integration service provider Sonic Telecom. Sonic has been an authorized reseller of Fine Point’s device management technologies since 2005 – but also selling VoIP gateway systems and services.